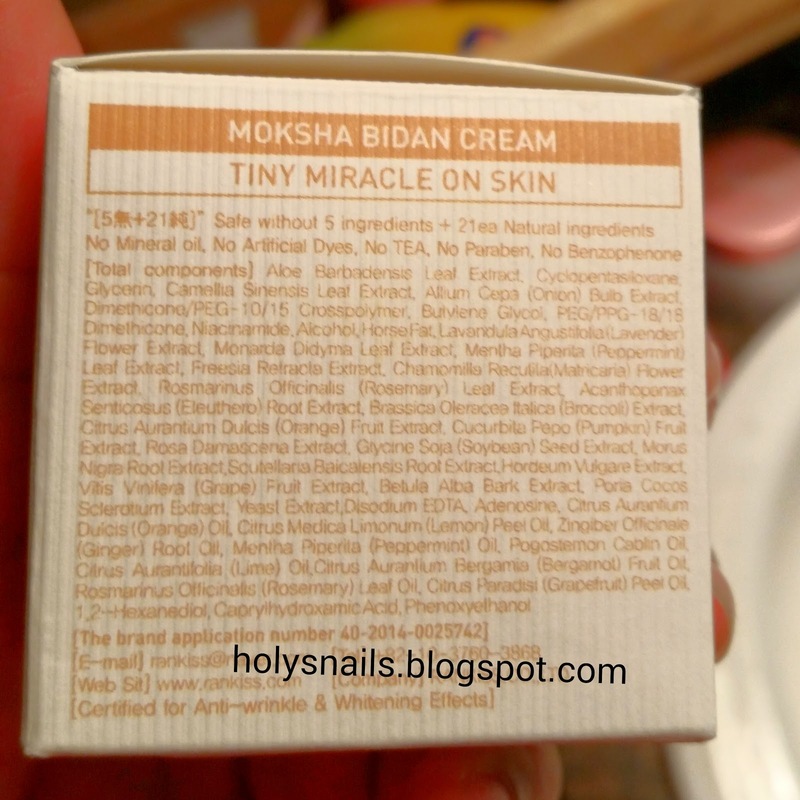 Moksha Bidan Cream Review: How I unknowingly tried Horse Oil...and found my new favorite moisturizer | Holy Snails! Yeah, buddy. I've got rosehip oil that I put on neat. It doesn't do that to my face. Let's see ingredients. I know that looks hard to read. That's because it is hard to read, because they use this funky corrugated cardstock that warps the words a bit. Ooh, baby. I'll break this down later in this post, but that's a rather sweet looking ingredients list at first glan-....what does that say? Yep. I used horse fat. On my face. I did it. I mean, I like horses. I'm American, so to me, they're majestic and beautiful, and they can poop in the streets on parade days, because they don't give a dang what you think. But for some people, they're no different than any other meat animal, and tallow (rendered animal fat) is commonly used in cosmetics such as soaps and lipsticks. At the same time, while I can't go without my regular rations of bacon, I don't really get excited about pig collagen on my face. (I wonder if bacon face masks are a thing?) So now what? Ok, so I've justified it to myself. It's not even a horse oil product, or advertised as one. It just happens to have a little in there. I've already written like half of a review, so I might as well go on and finish. Butylene glycol is the only flagged potential trigger on here (with a paltry 1/5 rating), and it's in virtually every sheet mask in existence, as well as a bunch of other cosmetics. While not flagged by CosDNA, this product also has alcohol and essential oils. Now, on to the notable ingredients! *rubs hands together* It's advertised as having 21 natural ingredients that are beneficial for skin - it doesn't even have water! Instead, first on the list is aloe barbadensis leaf extract, which is a popular skincare ingredient, as it hydrates and has anti-inflammatory properties. Green tea extract (4th) is a great antioxidant and anti-inflammatory as well. I found some research papers that indicate onion bulb extract (5th) may be effective for wound healing. Niacinamide (9th), oh niacinamide. What an amazing ingredient it is. It lightens pigmentation, brightens skin, enhances barrier function, helps with acne, increases ceramides, prevents TEWL. It's just an all-star ingredient. Next is horse fat (11th), but we've already talked about that (ad nauseam). Pumpkin fruit extract (19th) is pretty exciting, as it can potentially stimulate collagen production and all sorts of other goodies. It also has broccoli extract (17th), soybean seed extract (21st), and yeast extract (28th), which other companies have spawned entire lines of products around. I want to go on and on, but it has so many extracts. Basically, a lot of anti-inflammatory ingredients, some commonly used to treat psoriasis and eczema, although I assume at higher concentrations. Do note that a lot of these ingredients are listed way low, and so they might sound nice, but not offer much in terms of real benefits. The "star ingredient," which I'm going to assume is Rosa Damascena Extract is 20th down on the list, and isn't necessarily rosehip oil. (Damascus Rose extract is a thing, and you can extract oil from its rosehips, but....it would be labeled as such on INCI listings, right?) This is the most expensive of roses for extracts, and while it is commonly used for perfumes, it can also have antibacterial, antioxidant, and wound healing properties. Cyclopentasiloxane is the second ingredient on the list, and is a very popular silicone in cosmetic formulations. 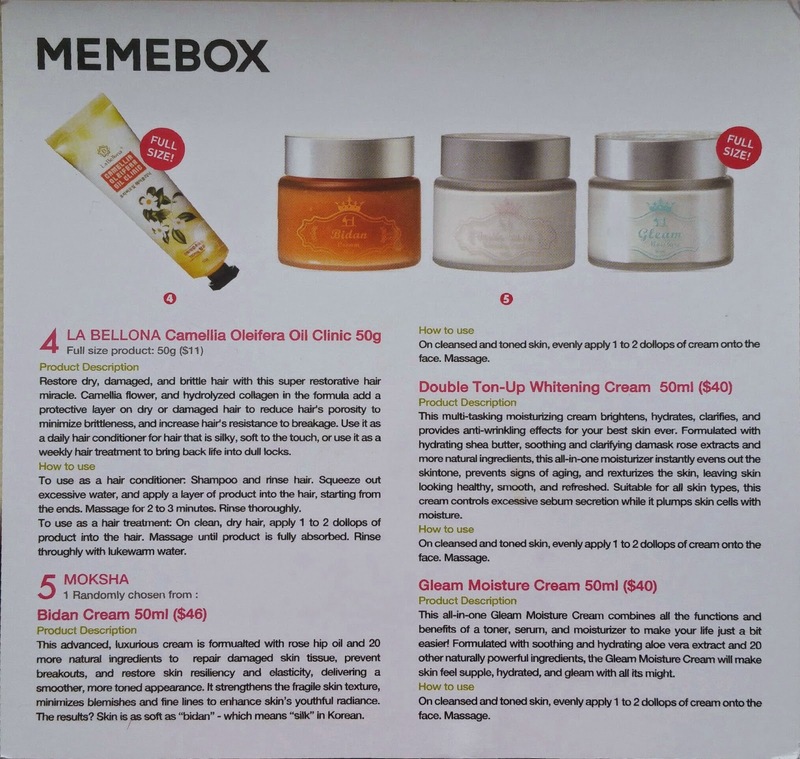 It's also in Sulwhasoo's Concentrated Ginseng Renewing Cream, which is what makes them feel so silky and spread so easily. pH is right at 5. Forget smell-o-vision, you need to feel this on your skin. This is more of a gel than a cream. It's clearish brown in color, and smells vaguely woodsy and fruity. It's pleasant and unoffensive. I use the tiniest amount, and it spreads so beautifully, then sinks to nothing. No residue, no shine, no stickiness. On some days, I add a couple drops of rosehip oil to it, and that naturally leaves a sheen, but is still quickly absorbed. In the morning, my face glows like I've just spent all night sleeping in a sheet mask, and so soft, it's like I layered it with a sleeping pack. I'm in awe at how well my skin responds to this cream. It's packaged in a tiny little plastic jar. Seriously, it was a very underwhelming experience receiving this. The spatula looks exactly like the ones at Sephora for trying out samples. Just a cheap thing, and no place to store it. I keep everything in the box, which is made of a corrugated card material that's probably sturdy enough for travel and storage, just don't get it wet. I'm sure any more effort to fancy up the packaging would result in a steep hike in price, so that's fine. Put it in the dang tub. I almost want to call this HG. Seriously, if you've read my blog at all, you know how picky I can be, and how readily I find flaws in things. I really like this moisturizer. It's a little hard to obtain, and the horse fat makes me a little uneasy, but it is just so nice. And so affordable. 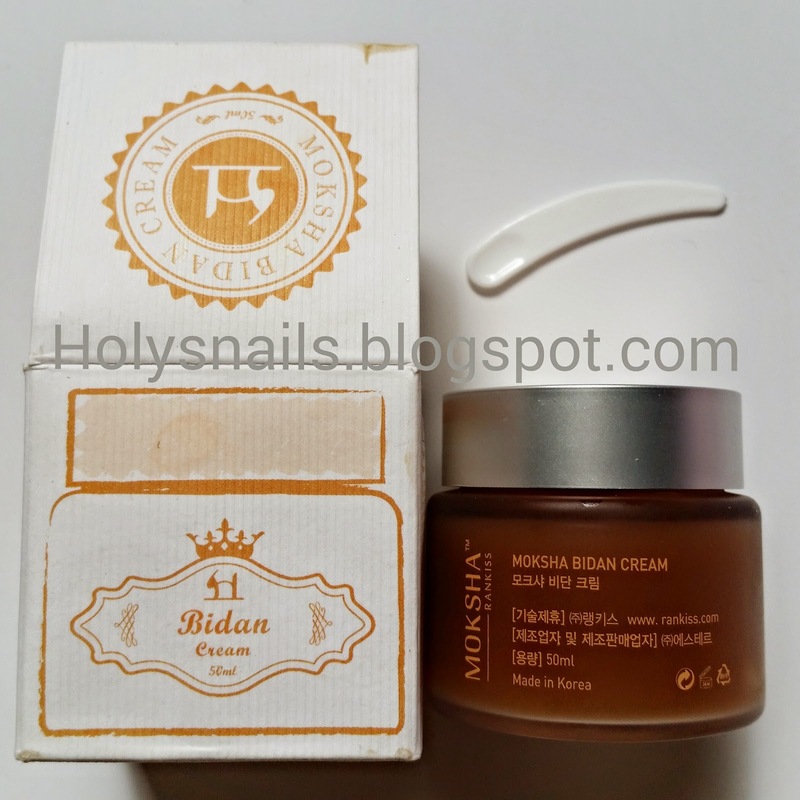 The Good: So affordable, leaves skin soft and glowy on par with luxury moisturizer, travel friendly. The Bad: Ethical dilemma, hard to obtain, essential oils.